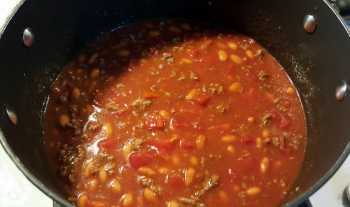 Looking for a quick and easy chili recipe? This is it! That's it! Of course you can adjust seasonings to taste. 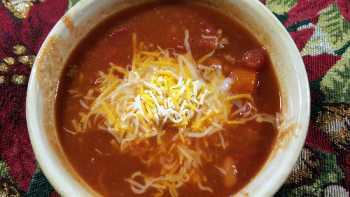 Serve in a bowl and top with cheddar cheese. Just a guy that likes to cook! 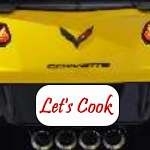 And I like to share my recipes, and this Man Kitchen Recipe site seems like a good fit! Hope you enjoy the recipes that I add.